97 Obafemi Awolowo Avenue, Ikeja, Lagos, Nigeria. The hospital is located in a predominantly residential area in the Secretariat district of Lagos State Capital and has been upgraded to accommodate 19 in-patient beds. The Hospital’s focus is mainly on the family, and therefore includes specific clinics for women and children. Additional facilities includes an operating theatre, X-ray & ultrasound unit, Emergency room, 24 hrs Laboratory and Pharmacy. 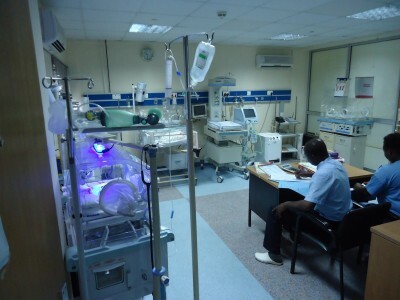 Lagoon Hospital was first established in 1986 with Lagoon Hospital Apapa, now the flagship hospital, followed by Lagoon Hospital Ikeja and Lagoon Hospital Victoria Island. The Group has since added 2 new locations: Lagoon Clinics in Adeniyi Jones, Ikeja and Lagoon Specialist Suites in Victoria Island bringing a total of 5 locations. Lagoon Hospitals provide a range of both primary and tertiary healthcare services across the three sites: Lagoon Apapa, Lagoon Ikeja and Lagoon Victoria Island respectively. This entry was posted in Health by MetroChief. Bookmark the permalink.